Look at me, blogging again. Just more things I like and some of them rediscovered in my inventory (I’m supposed to be cleaning it). Awesome mesh jeans, an excellent texture top, all the other stuff. I find I really like to mix up mesh with texture clothes…also, I can never get an all mesh outfit to work for me! OH! I put all the pics I took on my flickr here. I had to put up a post just to replace that OTHER post and so here it is. A picture of me wearing things I like, old and new. Pose by the diabolical Gidge Uriza. Rest of the credits courtesy of that cool little function with in SL that allows you to cut and paste what you’re wearing in a notecard! If you want to see the other pics that I probably should have done better, I put them on my flicker! YAY! It’s that time. 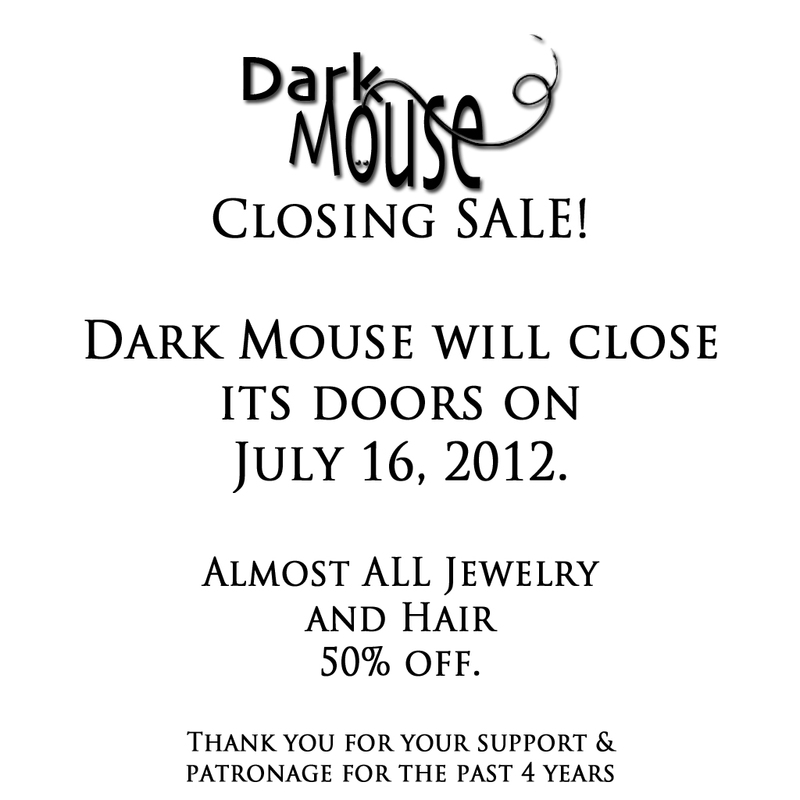 Dark Mouse Closing. So I guess I’ve been writing this post in my head for a while now, but it’s finally time to announce that I’ve decided to close my store, Dark Mouse Jewelry & Hair. I’ve gone back and forth on this for a long time, do I really want to give up my established brand? Well, with the advent of mesh, and the extraordinary possibilities for it, I just decided that a clean slate is best for me. I sort of decided a long time ago that if I could not produce jewelry that met my own personal standards, then I would not go forward. While I believe that I do still make a pretty good necklace, the future is mesh and I’m not there yet. At present I’m teaching myself mesh, and being a sort of thick-headed slow type ;-), it’s taking a while. I don’t know what the future holds. I may be back, and I’ll definitely be around (shopping or blogging). Naturally I’ve marked everything at Dark Mouse down 50% off regular price. I hope you’ll stop by and pick something out that maybe you’ve wanted for a long time, but have not gotten. I will officially close on July 16, 2012. I’ll try to get my stuff marked down on Market Place as quickly as I can but for now, you have to come into the store to get the discount. Here’s a teleport link to the store. 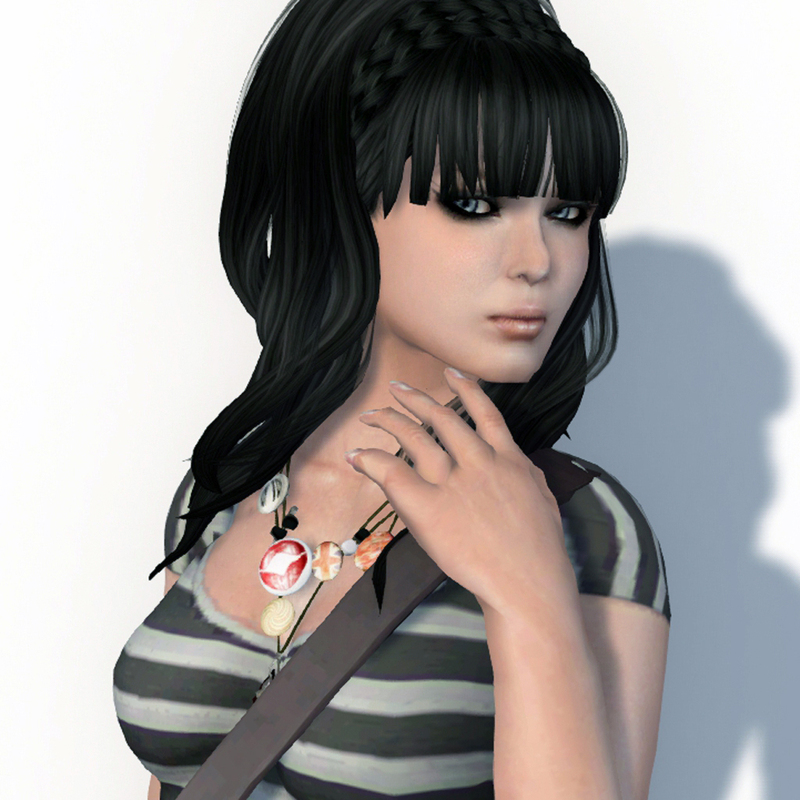 It has been my honor and privilege to be a part of the Second Life community. I appreciate everyone who has ever purchased, worn, blogged or just simply enjoyed my jewelry. It can’t possibly be as much as I enjoyed seeing it worn. Love, hugs and peace. Mouse.